At Titan Physical Therapy and Wellness, we recognize that people are unique. Patient betterment is founded on an individualized treatment approach and patient education. Our expert staff provides effective and efficient treatments, allowing patients to return to their prior level of function safely and quickly. We emphasize education, so patients gain the knowledge to not only maintain, but to continue to progress. This combination of clinical expertise, tailored treatments, and genuine care sets Titan Physical Therapy and Wellness apart and makes us the rehabilitation choice for doctors and patients alike. Paul Dawson is the owner of Titan Physical Therapy and Wellness. 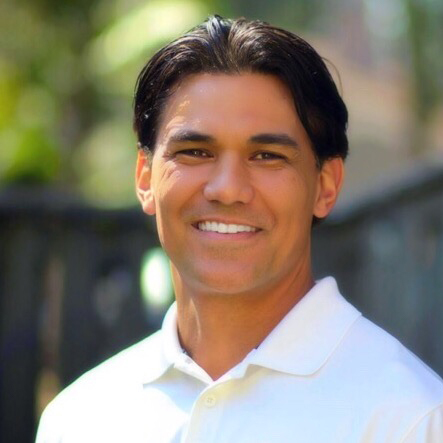 He is a licensed physical therapist and a certified strength and conditioning specialist. He is also a certified USAw sports performance coach and he is FMT certified. Paul earned his Master of Physical Therapy from Mount Saint Mary's University. Paul attended Linfield College where he received his BS in both exercise physiology and health education. Paul also played football and ran track while at Linfield. After graduating, he continued his studies at University of Hawaii before entering the graduate program at Mount Saint Mary's University. In addition to practicing physical therapy, Paul continues to promote health and wellness in the surrounding community through workshops, personal training, performance development programs, and youth sports coaching. Brandon U. Edenedo, PT, DPT graduated from the University of Southern California with a Doctorate of Physical Therapy degree. Prior to that he attended the University of California, Davis where he earned a Bachelor’s of Science in Exercise Biology. He has experience with a comprehensive assortment of conditions, but has developed an interest in spinal diagnoses including low back pain, neck pain, and radiculopathy. Brandon has a background in athletics as a football and basketball player and he uses this passion to help bring out the best in his patients. Outside of the clinic, he continues to stay active with sports, fitness, and community outreach whenever possible. Jeraun Hudson is an aide/technician at Titan Physical Therapy and Wellness. Jeraun is a graduate of University of Southern California where he earned a Bachelor of Science in Kinesiology. Jeraun also holds strength and conditioning certifications, as he is a personal trainer as well. He has been active in athletics such as basketball, track, football, baseball and swimming throughout his life. He has also coached, assisted, and mentored in multiple sports. He enjoys assisting and educating patients and clients during their path to improvement. Jeraun utilizes his experience and love of fitness, health, and sports to provide his patients and clients a professional and fun atmosphere to reach their goals quickly and safely. Astar Givan is a graduate of Loyola Marymount University with a Bachelor of Science degree in Natural Science/Pre-Physical Therapy. She then went on to attend Western University of the Health Sciences where she obtained her Doctorate in physical therapy. She is currently studying to pursue her license in the near future. She has a background in volleyball as well as a love for basketball. She finds joy in taking part in overall patient health, progression and well being.